I heard on the news today that an experienced skydiver and extreme athlete is going to jump from the height of 36 km above the earth – I wish him good luck! So have I ever jumped from anything apart from down a chair at 12 o’clock on New Years Eve? Yes I have, and what a rush!!! 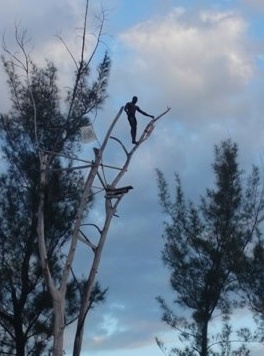 Just outside Negril on the western part of the island is the famous bar named Ricks Café. 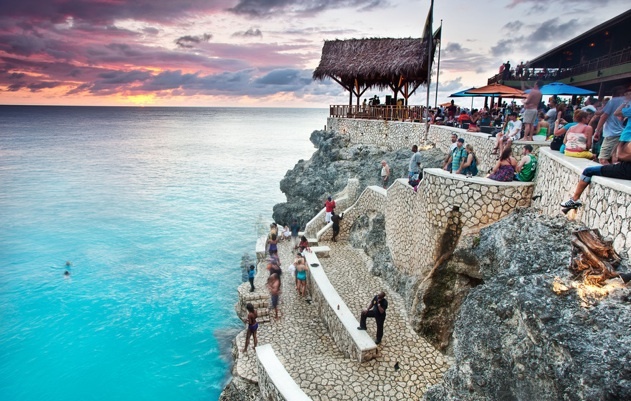 It has been situated here on the cliffs since 1974 and is a popular gathering for spotting a perfect sunset while listening to sweet reggae music and drinking the local beer Red Stripe. 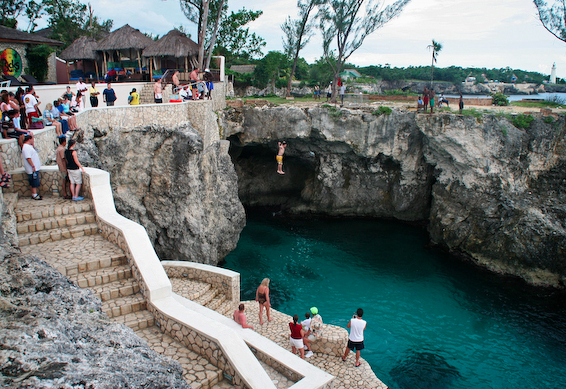 And then there is another activity to participate in – cliff jumping into the ocean cove below the café. You can choose just to look at all the spectacular jumpers for hours, or go for the big leap into the air and very soon after splash into the water yourself. Even though I’m not an experienced skydiver or extreme athlete, I jumped twice from the cliffs and would do it again – great experience!! !